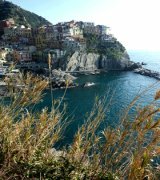 LiguriaGuide.com accepts sponsorship requests from high-quality businesses within each of the categories in the Liguria's tourism industry. We view a 'Site Sponsor' not only as a supporter of LiguriaGuide.com but also as a partner in promoting top quality tourism services in the region of Liguria, Italy. We may or may not have written a review of these sponsors or their products, prior to establishing a sponsor relationship. Any reviews we do write are independent of the sponsorship. Each and every one of the services or products listed are truly among our Liguria favourites... and we are sure you will like them too! If you provide products or services related to tourists in the region of Liguria in Italy (ex., B&Bs, hotels, boat tours, restaurants, etc.) 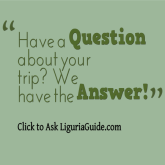 and if you would like to know more about "Liguria Advertising" by sponsoring LiguriaGuide.com, please click here. If you are a current Site Sponsor, we thank you for your valued support! Our website would not be the success it is without your partnership.